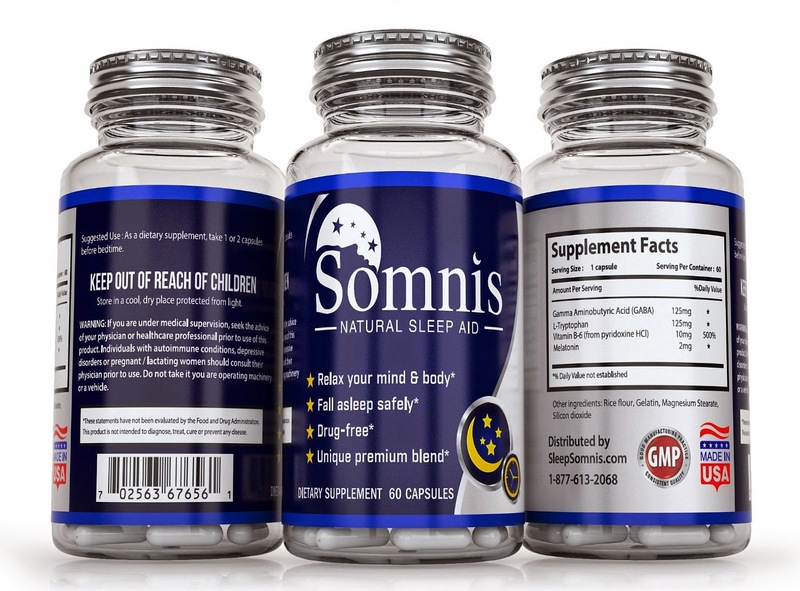 Somnis - Sleep Aid - Natural - Sleeping Pills - Proven Ingredients - Zero Side Effects - 60 Nights - Includes Melatonin, GABA, L-Tryptophan - Eliminate Insomnia for GOOD! Somnis Sleep Aid is a premium, safe and non-habit forming, all natural sleep aid. Sleeping Pills are becoming increasingly popular. Fall Asleep Safely & Wake Up Refreshed. All Natural, Drug-Free, Safe, & Non-Habit Forming. No Addictive Ingredients. No Dangerous Drugs. No Unnatural Ingredients. No Unsafe Fillers. Unique premium blend of proven ingredients including: Melatonin, Gaba, L-Tryptophan, and Vitamin B-6 will enable you to fall asleep easier and wake up feeling energetic and refreshed to take on any obstacle during the day. Our premium formula fights stress, supports deeper and longer sleep, fights morning grogginess, and it will have you feeling energized and refreshed when you wake up - GUARANTEED! Somnis features a proprietary formula of clinically proven ingredients to support longer, deeper, more refreshing sleep. Drug-Free Formula Manufactured in the USA in an FDA-Approved facility. Do you suffer from insomnia? Is it seemingly impossible for you to get a good night's sleep? If so, then you need to try all-natural Somnis - the ultimate sleep aid! Somnis contains proven ingredients like melatonin, L-Tryptophan, and GABA to help you fall asleep faster AND stay asleep. It is also all natural, drug-free, and non-habit forming, which means you can take it whenever you need to without feeling any side effects. Want to sleep longer? Want to wake up feeling refreshed and energized? Somnis has the essential ingredients you need to truly develop a healthy sleep cycle to feel fully rested and energized in the morning. Eliminate your sleeping problems for good with Somnis - the safe, all natural, and proven sleep aid! 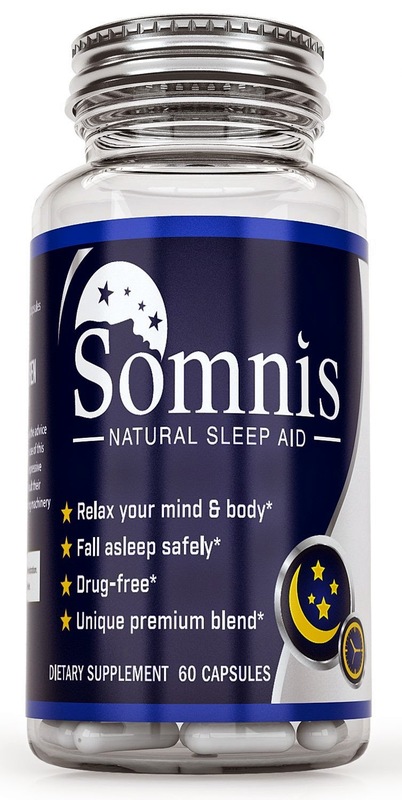 I was happy to get to try Somnis Sleep Aid Natural Sleeping Pills. I sometimes go 2 weeks in a horrible sleep pattern where I wake up every couple hours and never get any real sleep. I normally don't take sleep aids because of the dependency factor, but this one is natural and it has melatonin which I have taken before. I like that it worked the first night and I didn't wake up in a fog. I felt so much better getting a full nights uninterrupted rest. I recommend this natural sleep aid.